Anyone who has been on FB has been bound to see all different recipes that are posted. 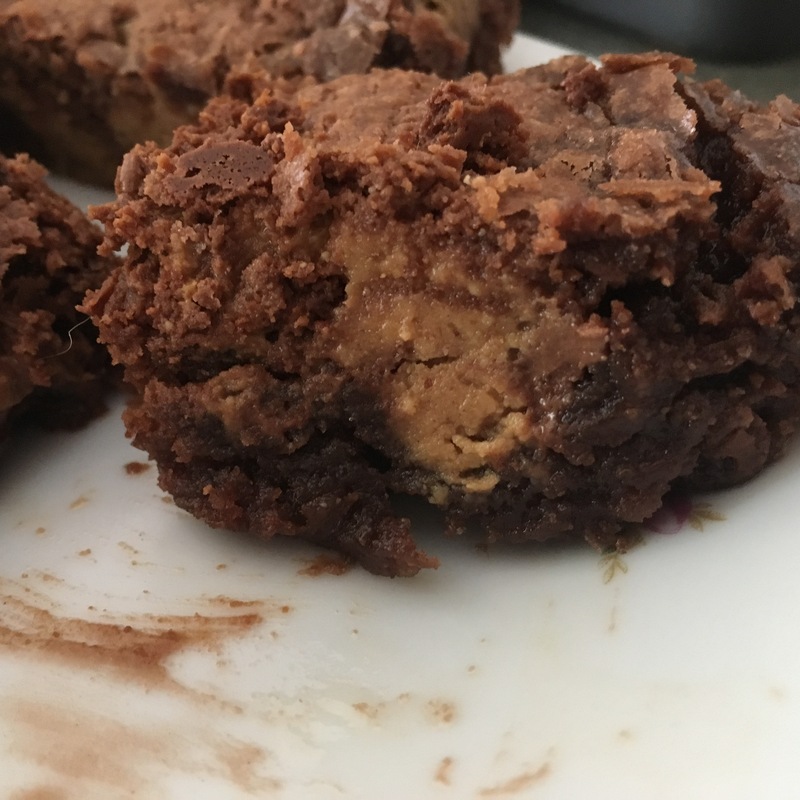 I, as well as some of my friends, are guilty of reposting these recipes.The premise is if you save it to your Facebook wall, you will have saved the recipe so you can have it.The recipe that I actually did was the chocolate/peanut butter”crack” brownies.It was an invitation, as I tagged it on Facebook,to insulin use, IMHO.What I decided to do was not make the “crack”part. 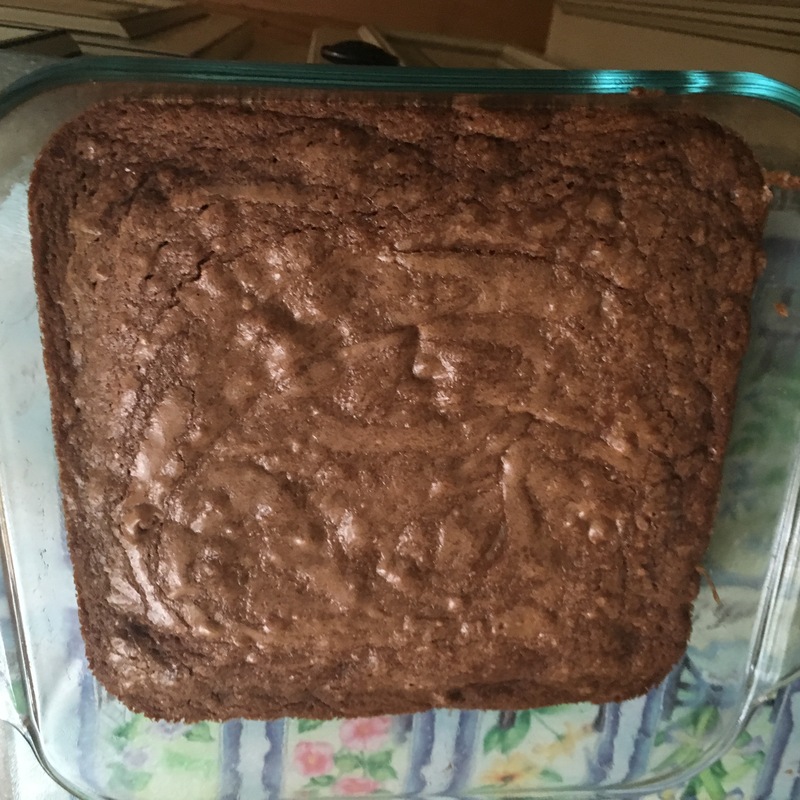 I started by making regular brownies from a regular mix:nothing really fancy.Prepare the mix according to the directions on the box.We tend to like fudge-like brownies, so I followed that direction, but there is always the decision for cake like brownies. It’s all spelled out on the box. 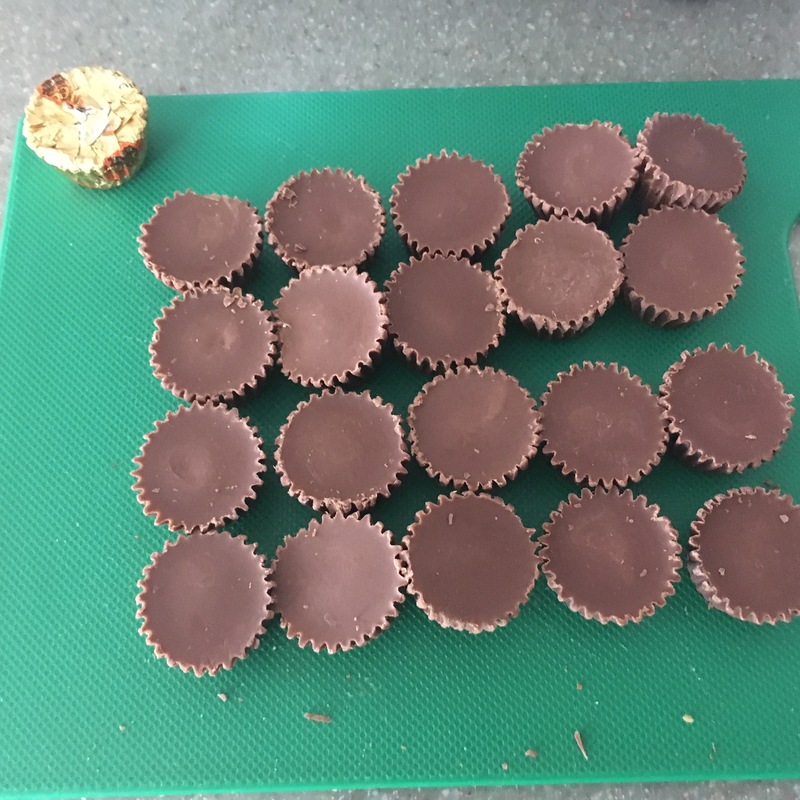 While they are baking, I unwrapped recess’ peanut butter mini cups, and cut them in halves, then quarters.When you pull the brownies out, you sprinkle the peanut butter cup pieces over the hot brownies, and then throw them back in the oven for five minutes. The peanut butter cups will be soft, so I just used my spatula to smooth it over the brownies.You can see the chocolate sink into the brownies.I then set them aside and let them cool.Now the Facebook recipe will have you melting chocolate chips and then stirring in rice cereal.Well, bad enough I am making the recipe.For us, we just didn’t need the over the edge amount of chocolate.It’s your call.If you opt for that, all you do is melt chips in the microwave and then stir in the cereal.Then you are supposed to ice the brownies you have made and put in the refrigerator to cool. The last picture is what’s left of the brownies, thus the dirty plate! 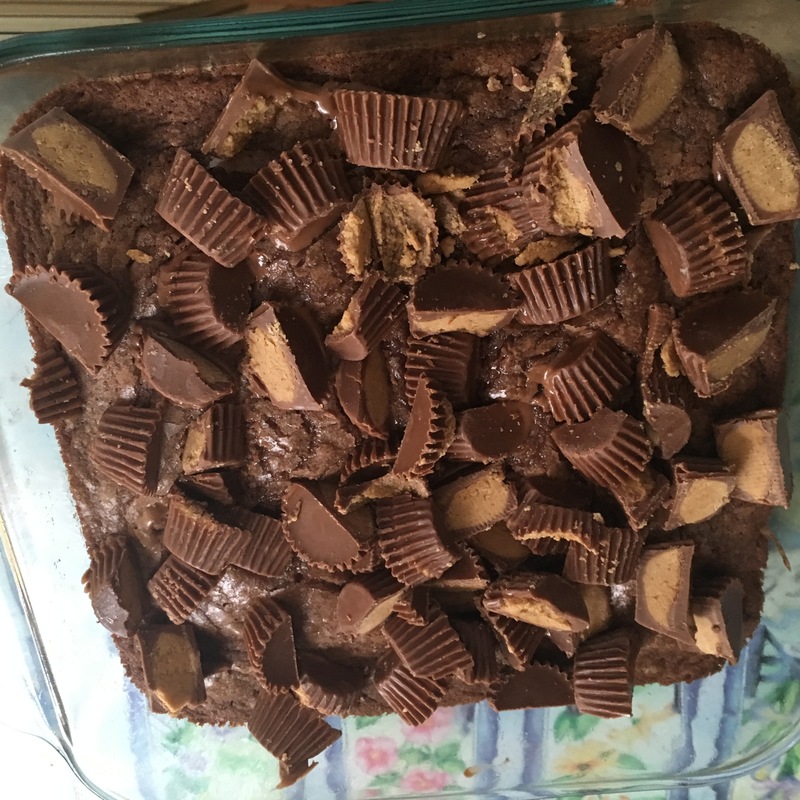 You can see how the peanut butter worked its’ way into the brownie and the chocolate.This was one case of doing half of the recipe rocked!